All India Bank Strike to hit Bank Services at all public sector banks with employee unions going on a nationwide strike. All India PSU Bank Employees to go on strike to protest against the proposed consolidation of public sector banks, inadequate capital support for banks and loan defaults by large borrowers. There was no agreement over the demand, and unions decided to go on strike. Nearly 10 lakh bank employees will participate in the strike. All banking operations and transaction will be impacted with banks going on strike. Cash deposit and withdrawal in bank branches, cheque clearance, NEFT and RTGS transactions will be affected. However privater lender like HDFC Bank, ICICI Bank, Axis Bank and other will continue their functioning except some delay in clearance of cheques. 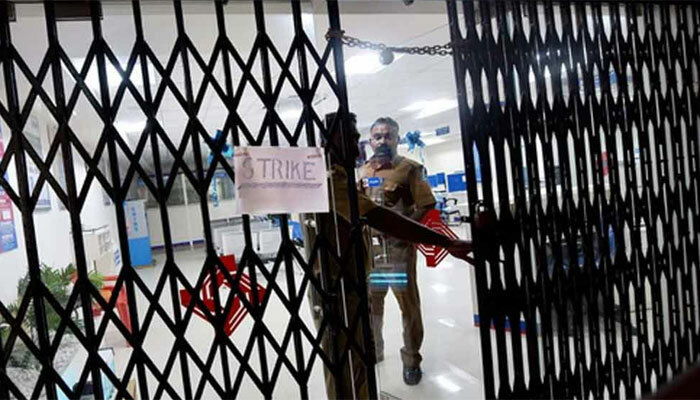 Bank strike has been called by the United Forum of Bank Unions (UFBU), an umbrella body of nine unions including the All Indian Bank Officers Confederation and All India Bank Employees’ Association (AIBEA).